Fundamental to all options is knowing your book is marketable. There are so many people who will sell you something without knowing whether one person would buy the book. I have read some pretty bad books. I am going through this turmoil now and can’t wait to read your book. Thank you for your hard work in keeping us writers informed. Rachelle, I’ve read the book and found it to be extremely helpful. 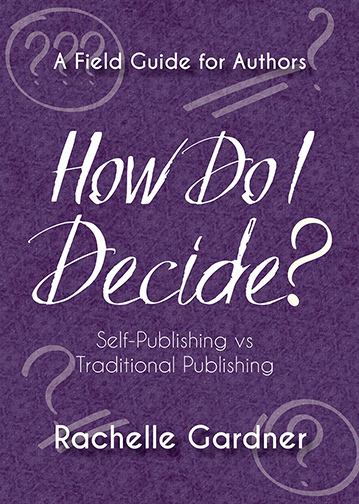 As self-publishing becomes an option for more writers, this is a purchase that’s well worth the cost. Thanks for the reminder. Thanks for the encouragement, Richard!